With the recent rains across the state, this year’s corn crop has a lot of potential with the crop approaching or just past pollination. This growing season has been mostly uneventful unless you count the unseasonal warm winter and spring. At first glance, this bacterial disease looks like one’s neighbor has been burning down with paraquat on a windy day. Small yellow spots have shown up on leaves in fields, the only thing missing is the burned down field nearby. 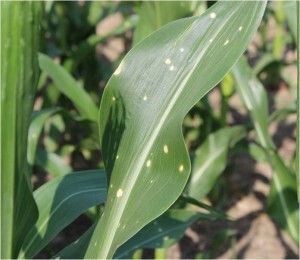 These spots have been found on many different varieties, on corn planted behind corn, cotton, or soybeans. There doesn’t seem to any rhyme or reason to it, but we have been told that this problem is only cosmetic and won’t harm yield. 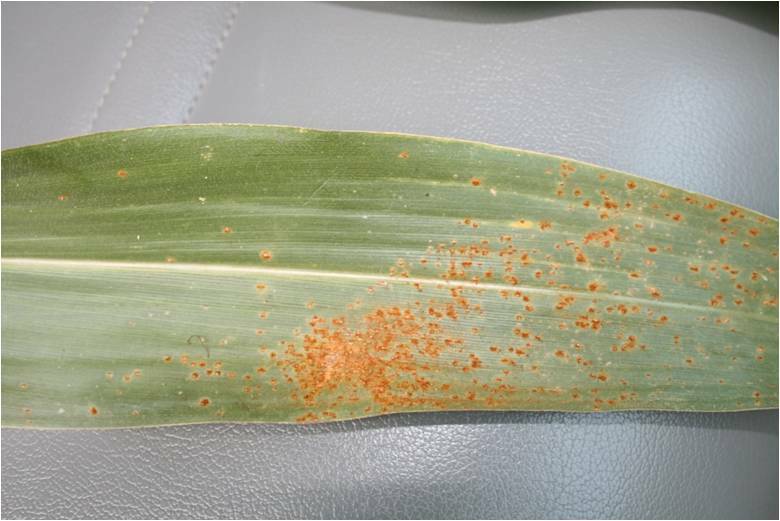 Remember that a fungicide spray will not do any good to this bacterial disease. 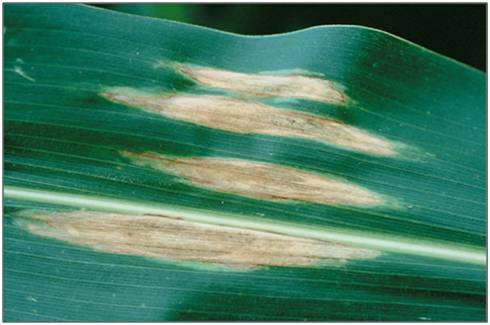 On the other hand, a disease like Northern Corn Leaf Blight, can be managed with a fungicide if an application is warranted. NCLB can become active after the current environmental conditions we have (moderate temperatures and high moisture). You need to scout your fields to confirm the presence of any disease. Southern Rust is another important corn disease to scout for at this time. Research has shown that a well timed spray can be made on corn just after pollination once the tassel starts to turn. A spray at this time should get the crop by through black layer, or until the corn is mature. It helps to know the strengths and weaknesses of your variety, not only yield and how it handles drought stress, but its disease ratings as well. Knowing your variety and simply scouting your fields, you can help make these tough management decisions easier.